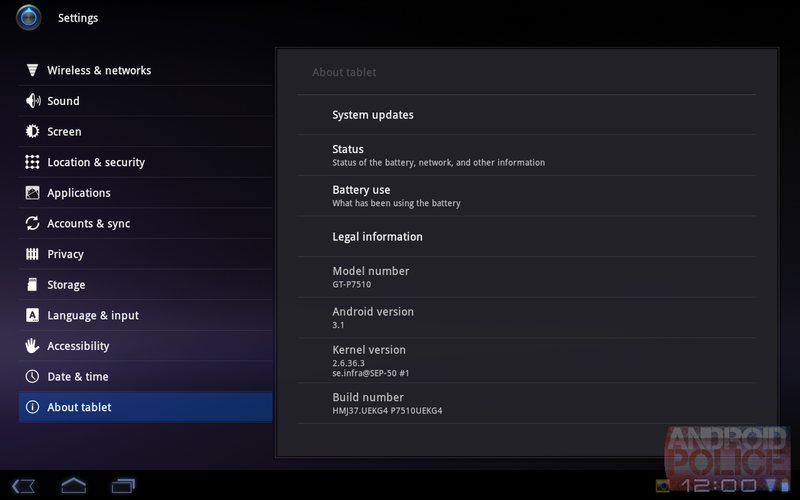 My favorite Android tablet, the I/O limited edition Galaxy Tab 10.1, received a small update today with version number KG4 (full version: HMJ37.UEKG4 P7510UEKG4). The only new feature the update seems to bring is the Videos/Movies app from Google, which is otherwise not available from the Android Market. Disappointingly, I don't see a new Movies tab in the Market, so literally only the Videos app was added and nothing else. What a silly way to roll out new apps, considering I had to reboot to perform it. Since the Pulse app prevented the previous update KF3 from going through until I did a restore from the original system dump, I'm not surprised that Samsung is asking to remove any shortcuts or widgets linking to the Pulse app from any home screen prior to the update. How amateurishly evil. Update: Apparently, the update restores stock recovery and possibly locks the bootloader, but since I was rooted, all I had to do was re-flash ClockworkMod recovery again from ROM Manager, and it booted into it just fine. If you're not rooted yet, I can't guarantee you will be able to do so as easily as before, as the bootloader may not allow flashing of unsigned updates anymore (it seems to be locking for some, but not others). See xda for further discussion. 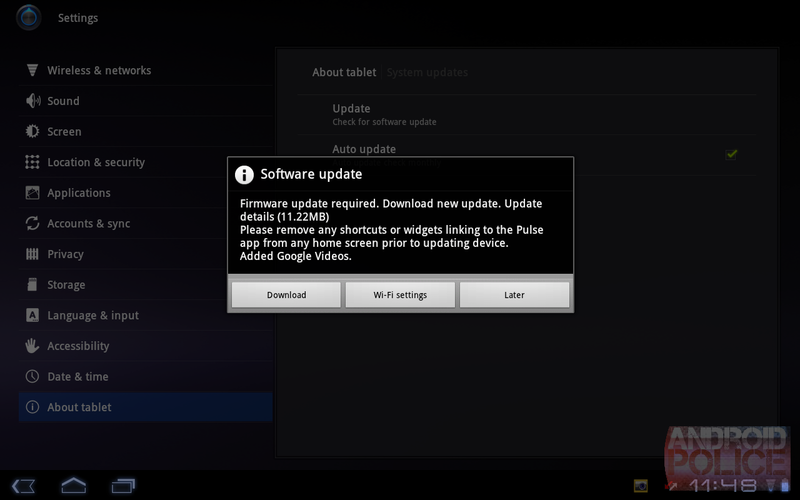 No word on the retail Galaxy Tab 10.1s receiving this update yet. 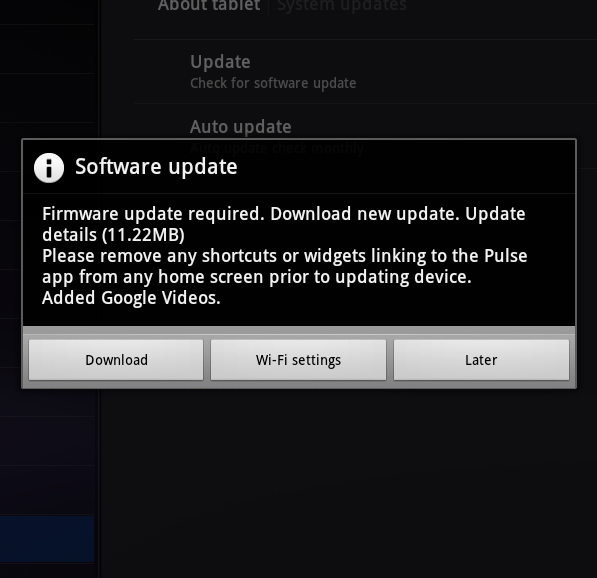 To force the update, go to Settings > About tablet > Software update and press Update.